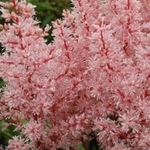 Astilbe arendsii 'Look at Me'. 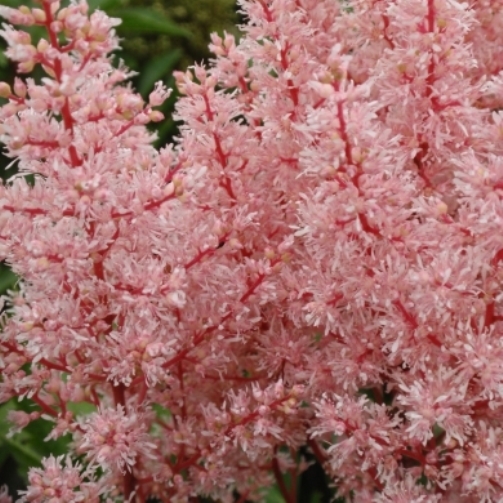 The frosty pink color of the flowers is enhanced by the dark red-pink stems - alluring! An appropriate name for this false spirea, it will beg for your attention every time you pass it in the garden. PP#24798.